I am jazzed to be offering my two most popular Baltimore tours in partnership with Baltimore Heritage. 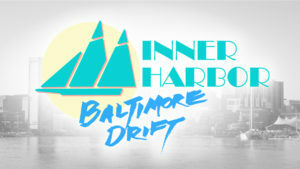 Half of all proceeds from my next Inner Harbor Baltimore Drift and Crossing the Highway to Nowhere tours will go to supporting Baltimore Heritage’s important work preserving our city’s divers built history. $15 tickets. Click here for more info and to register. 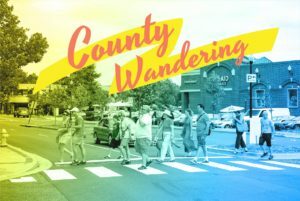 If you walk halfway from the Inner Harbor to the Highway to Nowhere, you will find yourself in the Bromo District, a vibrant and ever changing arts neighborhood and employment center. 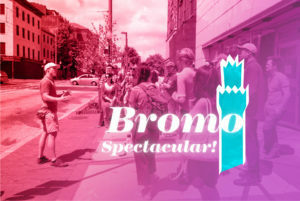 As part of the Front exhibit curated by Betty Gonzales, I am leading Bromo Spectacular!, two different tours exploring invisible public spaces and artist-led development projects along Howard Street and surrounding blocks. Both Bromo Spectacular! Tours are free. Click here for details. Now let’s say you got lost and end up walking fifty miles southwest. You would not only beat the DC gridlock, but also end up in Arlington, Virginia. Arlington is an impressively old yet historically suburban county now coursing with high-density, transit-oriented infill development. This is the wave of the future yall, so start looking forward to exploring and reimagining the urban and suburban spaces of Lee Highway, Courthouse, and Columbia Pike! Offered by Arlington Arts in partnership with Walk Arlington. Tours are free. Click here for details. Registration links below.